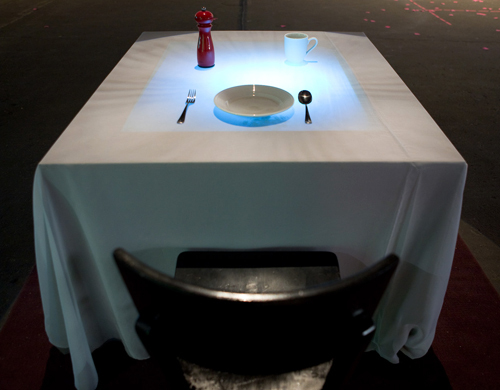 Dinner Party is an interactive installation in which a single chair and a place set for one person seems to provide a solitary dining experience. 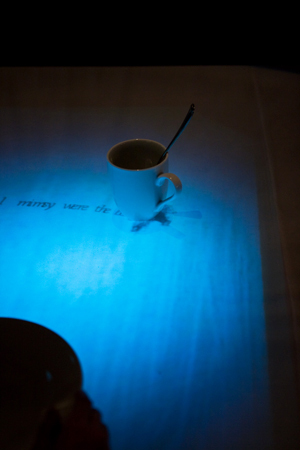 However, the interaction offers a communication between oneself and imaginary creatures. 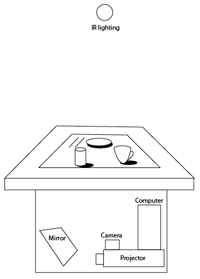 A participant sits down at an interactive table on which are placed several objects the participant can move as if she or he is about to enjoy a meal. 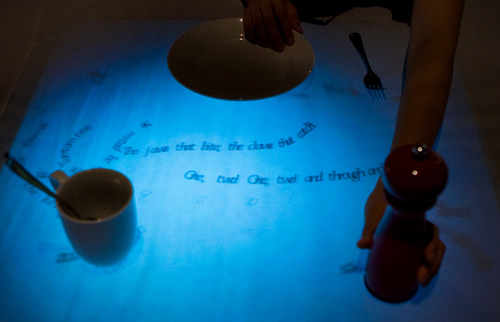 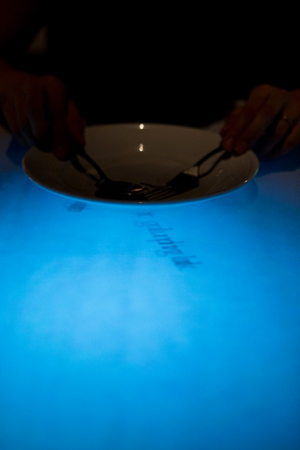 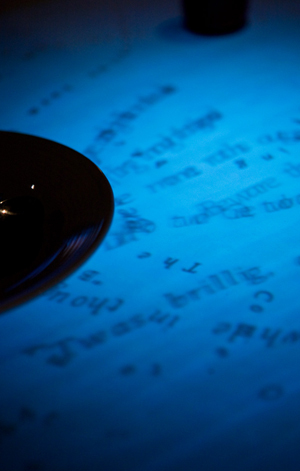 The objects cast virtual shadows on the tabletop with animated creatures hiding in the shadows.